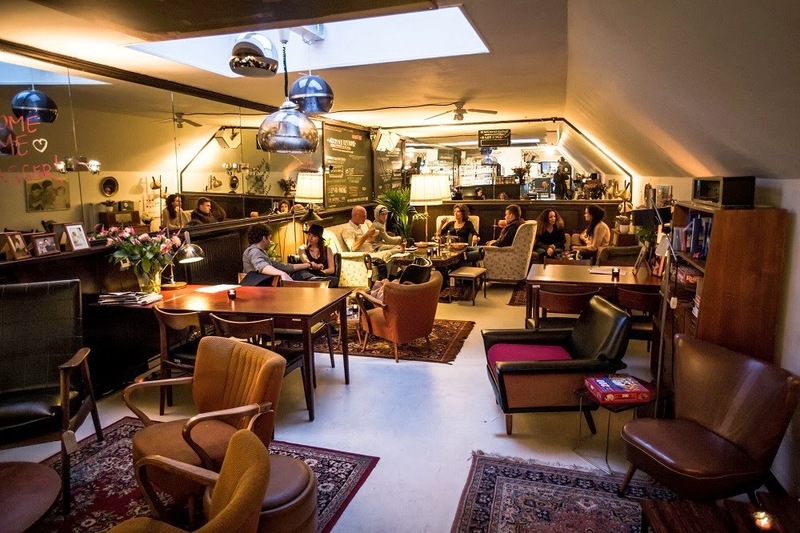 I live in East of Amsterdam where new cafe's, restaurants, shops, coffee bars and clubs pop up like daisies. This part of the city is hot. And of course I have my favorites. There's one cafe I really really like. It has got that Berlin feel and looks like a living room from back in the days, De Ruyschkamer. With the ever changing furniture of Zo Goed als Oud (which is also for sale), good coffee, nice sandwiches, various flavors macarons, lots of beers and delicious Sapmeesters juices you have everything you'll need. And did I mention the boardgames they have available? Perfect for a hungover Sunday afternoon, or any random day really.